In an opinion that cited Michelle Alexander and Ta-Nehisi Coates, Justice Sotomayor railed against the gutting of the Fourth Amendment. The US Supreme Court just made a deeply flawed, and profoundly unsettling, decision that upsets historic protections against using evidence obtained in illegal searches to convict Americans of wrongdoing. The decision, announced Monday, reinstates the particular convictions of a Utah man who was tried on drug charges. But this is about much more than one case. The Court's 5-3 determination effectively signals that police officers do not themselves have to follow the letter of the law when they are enforcing the law. The calculus, argued dissenting Justice Elena Kagan, "practically invites" police to illegally stop Americans who are not acting suspiciously. That was fine by a Court majority that included Chief Justice John Roberts, conservative Justices Clarence Thomas, Samuel Alito, and Anthony Kennedy, and moderately liberal Justice Stephen Breyer. Justice Thomas wrote in a convoluted majority opinion that evidence gathered in an illegal search could be used to arrest and convict the target of the search because the Court majority did not find indications of "flagrantly unlawful police misconduct" in an unconstitutional stop in Salt Lake City parking lot, and because the officer eventually learned of an outstanding warrant against the man who was targeted. 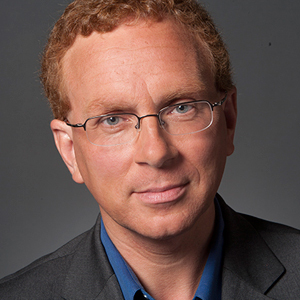 The majority ruling so unsettled Justice Sonia Sotomayor that she wrote a scathing dissent, which spoke with the fury of the classic dissents of Justice Louis Brandeis and Oliver Wendell Holmes Jr. that almost a century ago helped to frame our modern understanding of basic liberties. The dissents of Justices Brandeis and Holmes laid the groundwork for later decisions by more enlightened Court majorities. In her remarkable dissent, Justice Sotomayor found herself raging against the dying of the more enlightened approach that the Court had long accepted as a necessary defense of civil liberties. "The Court today holds that the discovery of a warrant for an unpaid parking ticket will forgive a police officer's violation of your Fourth Amendment rights," wrote Justice Sotomayor. While Justice Thomas struggled to excuse unlawful behavior by the police officer, and in so doing to upend the Fourth Amendment's so-called "exclusionary rule" (which has been accepted by the High Court for more than a century and which, historically, has prevented the admission of illegally obtained evidence at trial), Justice Sotomayor was absolutely clear in her dissent. Arguing that the High Court should have upheld a Utah Supreme Court decision, which found that the "exclusionary rule" required justices to toss out the conviction of the defendant, Edward Strieff, Justice Sotomayor rejected the majority's determination that the discovery of an outstanding warrant for the defendant somehow erased concerns about an illegal stop by Officer Douglas Fackrell. "To the Court, the fact that a warrant gives an officer cause to arrest a person severs the connection between illegal policing and the resulting discovery of evidence," she wrote, in a dissent that characterized the majority's determination as a "remarkable proposition." 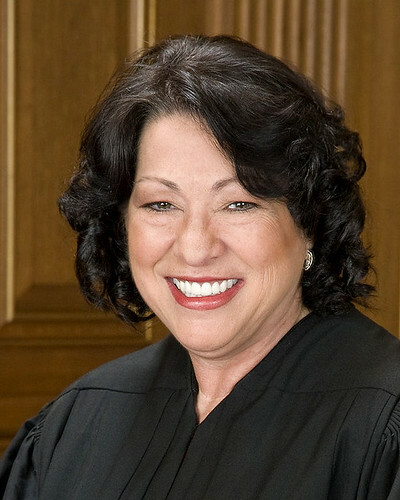 Grounding her arguments in the intents of the authors of the Fourth Amendment and historic precedent, Justice Sotomayor absolutely rejected the majority's assumption that, as she described it, "The mere existence of a warrant not only gives an officer legal cause to arrest and search a person, it also forgives an officer who, with no knowledge of the warrant at all, unlawfully stops that person on a whim or hunch." Justices Ruth Bader Ginsburg and Elena Kagan also dissented, with Kagan writing that, "far from a Barney Fife-type mishap, [Officer] Fackrell's seizure of Strieff was a calculated decision, taken with so little justification that the State has never tried to defend its legality." Like Justice Sotomayor, Justice Kagan argued that the majority ruling represents a dramatic expansion of police powers--in that it allows an illegal stop to, in cases where a warrant exists, yield evidence that could lead to arrest, trial, conviction, and incarceration. How dramatic? "The state of California has 2.5 million outstanding arrest warrants," explained Justice Kagan, who noted that this corresponds to roughly 9 percent of California's adult population. Kagan's dissent was pointed in its assessment. Yet it was Justice Sotomayor who raised the loudest alarm against the loss of basic protections against abuses of basic freedoms -- and about the adverse impact the Court's decision could have on people of color. "This case allows the police to stop you on the street, demand your identification, and check it for outstanding traffic warrants -- even if you are doing nothing wrong," wrote Justice Sotomayor, who observed that "If the officer discovers a warrant for a fine you forgot to pay, courts will now excuse his illegal stop and will admit into evidence anything he happens to find by searching you after arresting you on the warrant."